Gary Paul Nabhan takes the reader on a vivid and far-ranging journey across time and space in this fascinating look at the relationship between the spice trade and culinary imperialism. Drawing on his own family's history as spice traders, as well as travel narratives, historical accounts, and an ethnobotanical exploration of spices and their uses, Nabhan describes the critically important roles that Semitic peoples and desert floras had in setting the stages for globalized spice trade. In "Food, Genes, and Culture," renowned ethnobotanist Gary Nabhan shows why the perfect diet for one person could be disastrous for another. If your ancestors were herders in Northern Europe, milk might well provide you with important nutrients, whereas if you're Native American, you have a higher likelihood of lactose intolerance. If your roots lie in the Greek islands, the acclaimed Mediterranean diet might save your heart; if not, all that olive oil could just give you stomach cramps. Nabhan traces food traditions around the world, from Bali to Mexico, uncovering the links between ancestry and individual responses to food. The implications go well beyond personal taste. Today's widespread mismatch between diet and genes is leading to serious health conditions, including a dramatic growth over the last 50 years in auto-immune and inflammatory diseases. Why does food taste better when you know where it comes from? Because history--ecological, cultural, even personal--flavors every bite we eat. Whether it's the volatile chemical compounds that a plant absorbs from the soil or the stories and memories of places that are evoked by taste, layers of flavor await those willing to delve into the roots of real food. In this landmark book, Gary Paul Nabhan takes us on a personal trip into the southwestern borderlands to discover the terroir--the "taste of the place"--that makes this desert so delicious. To savor the terroir of the borderlands, Nabhan presents a cornucopia of local foods--Mexican oregano, mesquite-flour tortillas, grass-fed beef, the popular Mexican dessert capirotada, and corvina (croaker or drum fish) among them--as well as food experiences that range from the foraging of Cabeza de Vaca and his shipwrecked companions to a modern-day camping expedition on the Rio Grande. Nabhan explores everything from the biochemical agents that create taste in these foods to their history and dispersion around the world. Through his field adventures and humorous stories, we learn why Mexican oregano is most potent when gathered at the most arid margins of its range--and why foods found in the remote regions of the borderlands have surprising connections to foods found by his ancestors in the deserts of the Mediterranean and the Middle East. By the end of his movable feast, Nabhan convinces us that the roots of this fascinating terroir must be anchored in our imaginations as well as in our shifting soils. The future of our food depends on tiny seeds in orchards and fields the world over. In 1943, one of the first to recognize this fact, the great botanist Nikolay Vavilov, lay dying of starvation in a Soviet prison. But in the years before Stalin jailed him as a scapegoat for the country's famines, Vavilov had traveled over five continents, collecting hundreds of thousands of seeds in an effort to outline the ancient centers of agricultural diversity and guard against widespread hunger. Now, another remarkable scientist--and vivid storyteller--has retraced his footsteps. "Chasing Chiles" looks at both the future of place-based foods and the effects of climate change on agriculture through the lens of the chile pepper-from the farmers who cultivate this iconic crop to the cuisines and cultural traditions in which peppers play a huge role.Why chile peppers? Both a spice and a vegetable, chile peppers have captivated imaginations and taste buds for thousands of years. Native to Mesoamerica and the New World, chiles are currently grown on every continent, since their relatively recent introduction to Europe (in the early 1500s via Christopher Columbus). Chiles are delicious, dynamic, and very diverse-they have been rapidly adopted, adapted, and assimilated into numerous world cuisines, and while malleable to a degree, certain heirloom varieties are deeply tied to place and culture-but now accelerating climate change may be scrambling their terroir. Over a year-long journey, three pepper-loving gastronauts-an agroecologist, a chef, and an ethnobotanist-set out to find the real stories of America's rarest heirloom chile varieties, and learn about the changing climate from farmers and other people who live by the pepper, and who, lately, have been adapting to shifting growing conditions and weather patterns. They put a face on an issue that has been made far too abstract for our own good. "Chasing Chiles" is not your archetypal book about climate change, with facts and computer models delivered by a distant narrator. On the contrary, these three dedicated chileheads look and listen, sit down to eat, and get stories and recipes from on the ground-in farmers' fields, local cafes, and the desert-scrub hillsides across North America. From the Sonoran Desert to Santa Fe and St. Augustine (the two oldest cities in the U.S.), from the marshes of Avery Island in Cajun Louisiana to the thin limestone soils of the Yucatan, this book looks at how and why climate change will continue to affect our palates and our producers, and how it already has. In the tradition of M. F. K. Fisher and Henry David Thoreau, Gary Paul Nabhan relates how his experience with food permeates his life as an avid gardener and forager, as an ethnobotanist and farmland conservation advocate, and as an activist devoted to recovering place-based heritage foods. Nabhan spent a year trying to eat only foods grown, fished, or gathered within 220 miles of his home with surprising results. In "Why Some Like It Hot," award-winning natural historian Gary Paul Nabhan offers a view of genes, diets, ethnicity, and place that will forever change the way readers understand human health and cultural diversity. Longtime residents of the Sonoran Desert, the Tohono O'odham people have spent centuries living off the land--a land that most modern citizens of southern Arizona consider totally inhospitable. 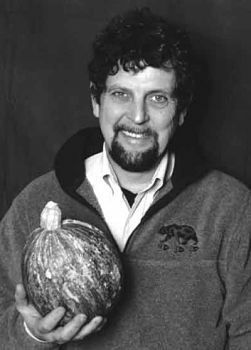 Ethnobotanist Gary Nabhan has lived with the Tohono O'odham, long known as the Papagos, observing the delicate balance between these people and their environment. Bringing O'odham voices to the page at every turn, he writes elegantly of how they husband scant water supplies, grow crops, and utilize wild edible foods. Woven through his account are coyote tales, O'odham children's impressions of the desert, and observations on the political problems that come with living on both sides of an international border. Whether visiting a sacred cave in the Baboquivari Mountains or attending a saguaro wine-drinking ceremony, Nabhan conveys the everyday life and extraordinary perseverance of these desert people in a book that has become a contemporary classic of environmental literature.